﻿Sawyer’s ﻿makes ﻿a ﻿1/2% ﻿permethrin ﻿spray ﻿to ﻿tick-proof ﻿clothing, ﻿tents, ﻿or ﻿whatever ﻿which ﻿gets ﻿rave ﻿reviews ﻿(2,700 ﻿reviews, ﻿85% ﻿4 ﻿or ﻿5 ﻿stars). ﻿I ﻿have ﻿used ﻿Sawyer ﻿products ﻿and ﻿they ﻿just ﻿work. ﻿I ﻿spend ﻿a ﻿lot ﻿of ﻿time ﻿in ﻿Wisconsin ﻿which ﻿is ﻿prime ﻿tick ﻿and ﻿lyme ﻿disease ﻿territory ﻿. ﻿Since ﻿I ﻿treated ﻿my ﻿clothes ﻿with ﻿Sawyers’ ﻿I ﻿haven’t ﻿found ﻿a ﻿single ﻿tick ﻿on ﻿me! ﻿It ﻿can ﻿work ﻿the ﻿same ﻿way ﻿to ﻿kill ﻿and ﻿repel ﻿scabies ﻿mites, ﻿too! ﻿If ﻿you ﻿wish ﻿you ﻿can ﻿spray ﻿it ﻿on ﻿any ﻿cloth ﻿surface ﻿(clothes, ﻿chairs, ﻿car ﻿seats, ﻿etc. ), ﻿let ﻿it ﻿dry, ﻿and ﻿forget ﻿about ﻿any ﻿transmission ﻿of ﻿scabies. ﻿When ﻿wet ﻿permethrin ﻿is ﻿very ﻿toxic ﻿to ﻿cats ﻿— ﻿once ﻿it ﻿is ﻿dry ﻿it’s ﻿safe ﻿for ﻿cats ﻿to ﻿be ﻿around. ﻿So ﻿if ﻿you ﻿use ﻿this ﻿just ﻿make ﻿sure ﻿to ﻿be ﻿away ﻿from ﻿cats ﻿until ﻿it ﻿dries. ﻿It ﻿is ﻿also ﻿toxic ﻿to ﻿bees ﻿and ﻿fish ﻿when ﻿wet ﻿so ﻿be ﻿nice ﻿and ﻿keep ﻿it ﻿away ﻿from ﻿them, ﻿too. ﻿I ﻿sometimes ﻿reflect ﻿that ﻿the ﻿greatest ﻿danger ﻿of ﻿getting ﻿scabies ﻿is ﻿you ﻿giving ﻿it ﻿to ﻿yourself. ﻿What ﻿I ﻿mean ﻿is ﻿you ﻿are ﻿treating ﻿yourself ﻿for ﻿scabies, ﻿but ﻿you ﻿need ﻿to ﻿make ﻿sure ﻿you ﻿aren’t ﻿leaving ﻿mites ﻿around ﻿to ﻿climb ﻿back ﻿on ﻿you. ﻿I ﻿have ﻿a ﻿whole ﻿section ﻿on ﻿how ﻿to ﻿treat ﻿laundry ﻿and ﻿your ﻿environment. ﻿If ﻿you ﻿run ﻿laundry ﻿in ﻿the ﻿dryer ﻿on ﻿high ﻿heat ﻿for ﻿30 ﻿minutes ﻿you ﻿can ﻿kill ﻿any ﻿mites ﻿or ﻿eggs ﻿on ﻿it. 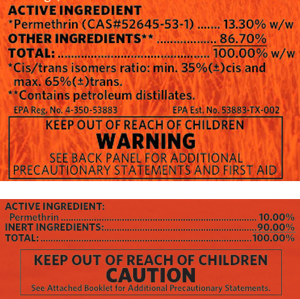 ﻿By ﻿spraying ﻿the ﻿permethrin ﻿you ﻿will ﻿have ﻿extra ﻿insurance ﻿you ﻿are ﻿safer. ﻿I ﻿realize ﻿much ﻿of ﻿this ﻿is ﻿more ﻿than ﻿is ﻿usually ﻿required, ﻿but ﻿when ﻿I ﻿had ﻿scabies ﻿I ﻿wanted ﻿to ﻿cover ﻿all ﻿my ﻿bases. 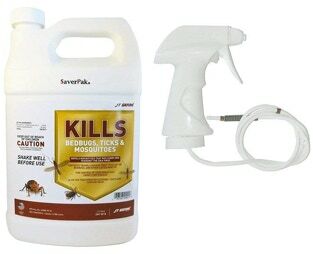 For use on clothing, tents, sleeping bags, and other outdoor gear, Sawyer Permethrin Clothing Insect Repellent not only repels insects, it actually kills mosquitoes, ticks, chiggers, mites, and more than 55 other kinds of insects on contact. Odorless after drying, Permethrin will not stain or damage clothing, fabrics, plastics, finished surfaces, or any of your gear. I am working on how to present this topic without getting sued. The basic idea is one can soak clothes in a 1/2% solution of permethrin and water for 2 hours (click for the recipe). Wring out the clothes gently so they are still dripping wet. Then hang dry them in the shade (sunlight degrades permethrin). A day or so later they will be dry and mite-proofed for up to 6 weeks. I had a video about how to do this but the permethrin manufacturer threatened me with unholy hell so I had to take the video down. I get it. The manufacturer doesn’t want exposure to any liability, plus he may sincerely believe I was violating some federal regulations. We’ll see if I ever figure out how to present the information in a way that I won’t get prosecuted or sued. It’s too bad primarily because the DIY method only costs a couple bucks to treat a shirt, pants, socks and underwear. The Sawyer’s Permethrin spray is a bit pricier, but it works! The upper one says “Contains petroleum distillates” and “WARNING”. The lower one does NOT says “Contains petroleum distillates” and “CAUTION”. This is the kind I used. but it has to say if it does.